DEADLINE EXTENDED TO JULY 5TH! 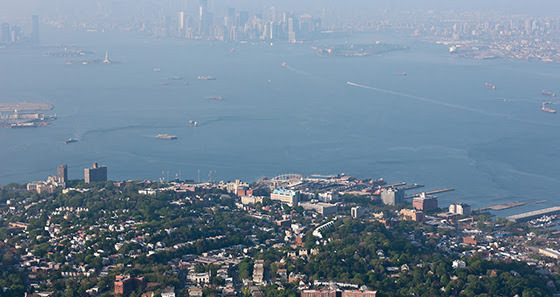 Design Trust and Staten Island Arts are partnering to create a cultural plan for Staten Island’s North Shore.The multi-year project, entitled Future Culture: Connecting Staten Island’s Waterfront, will experiment with ways for engaging local artists and community members, area developers, and city agencies in planning the borough’s rapidly expanding downtown in the North Shore waterfront together. Seeking to ensure the social, ethnic, and economic diversity of the community for years to come, the selected Fellows will produce design and planning ideas, and create policy recommendations. They will test new ideas through public art pilots, which will inform long-term strategies for neighborhood revitalization, sustainability, and equitable economic development. Future Culture has the participation and support of NYC Economic Development Corporation and developers including BFC Partners,Ironstate, New York Wheel, and Triangle Equities. Candidates should send a single PDF (maximum of 10 pages and 5 MB), including a cover letter specifying the Fellowship category they are applying for, a curriculum vitae, and a sample of relevant work to fellowship@designtrust.org. The deadline to apply is June 28, 2016, at5:00 pm.